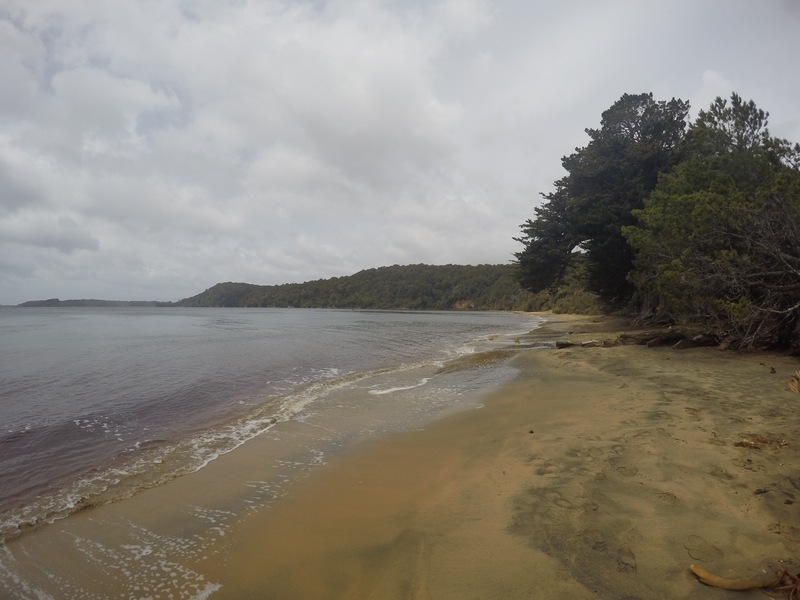 Our next little adventure was heading south, further south than I had ever been, to New Zealand’s third island, Stewart Island, or in Maori legend, the anchor. Our happy band of troops was Irene the organiser, Adam the DJ, Allison the Kiwi spotter and me, in charge of dorky jokes. We escaped Milford on a stormy Friday night, making our way to Invercargill for the night before heading to Bluff early in the morning. Unfortunately the storms had followed us and our morning ferry was cancelled, so we rescheduled for the evening and set about exploring Invercargill. We were not put off by its unfortunate reviews and headed for the information centre to find out what adventures awaited us. Firstly the museum demanded a visit, home to several Tuataras, New Zealand’s last remaining dinosaur lizard. Incredible creatures, they hid out in solitary beneath the undergrowth watching us. 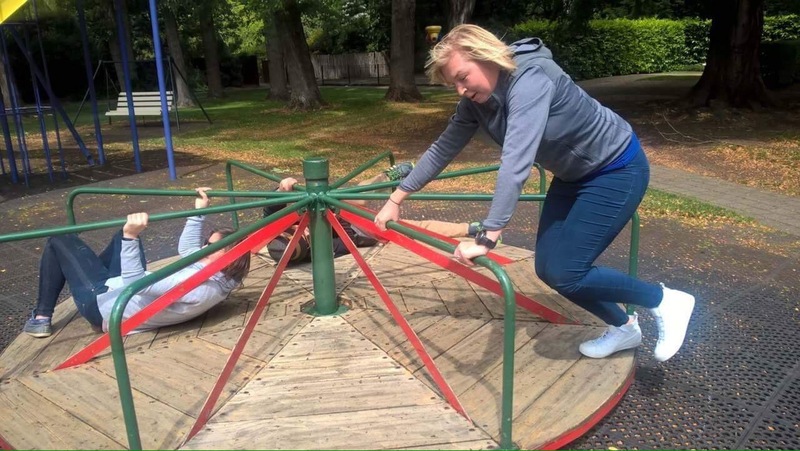 We then enjoyed the warmth of the morning in Queen’s Park, a lovely green open area with beautiful rose gardens, the highlight being the play park where we could exhaust ourselves on the swings and roundabout. Next on the agenda was the op shops for a rummage through the unwanted, useful and down right eclectic. 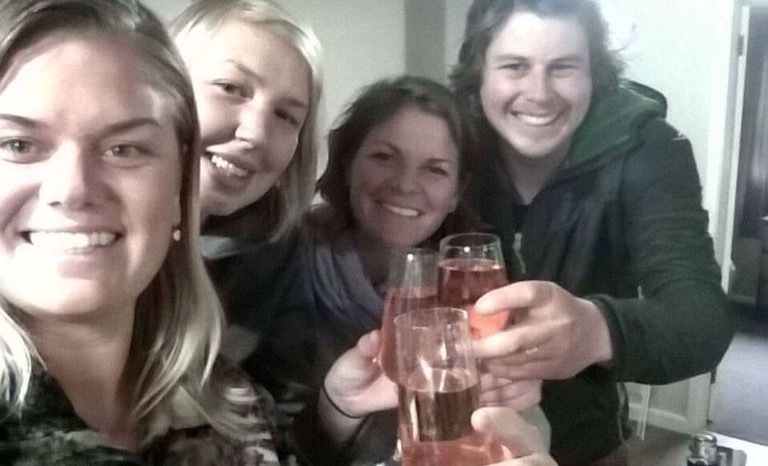 Coming away with some of the most life changing of purchases (including a wine handbag and a cheese mallet) we headed town to fill our bellies. The afternoon crossing across the Foveaux Strait was a challenging ride, heading side on to rolling waves which equalled the size of the boat. The skipper turned the boat to roll alongside them, the crew exchanged used sick bag for new, a strong stomach being a prerequisite for that job. From the back of the boat we watched land grow ever further away, and after an hours crossing we entered Half Moon bay and the harbour of Oban, the main town. With a population of 300 people, total island 400, it immediately had a community feel, reminiscent of some of the Scottish islands. Our Bach was just a short drag up the hill. 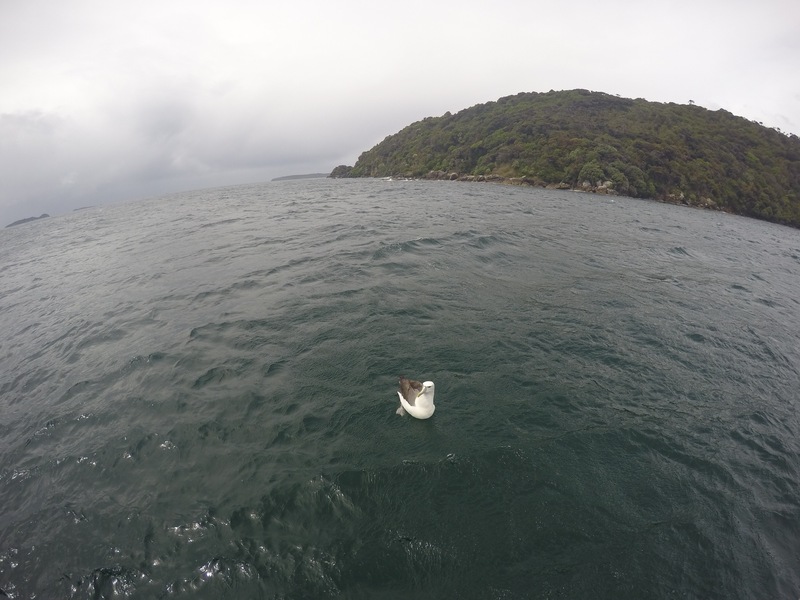 Whalers rest was our comfortable anode and we were quickly introduced to our resident Kaka, a rare New Zealand bird with a distinctive call. He liked to watch in through the window as we prepared food or shared a glass of wine. Our first meal led to an array of drinks, local liqueurs and delicious cocktails. When the clock struck 3am we decided to go out kiwi spotting. Armed with our red light and rain gear we headed for the trail park and rugby field, a reported good spot for sightings and grassy underfoot, a favourite of the kiwi. As I was still traversing the boggy entrance to the park, Allison came running out of the hedgerows shouting ‘I’ve got one! Kiwiiiii!’ We ran over to see a large bird darting around, it’s comically long beak catching the light. There turned out to be two and with the noises Adam had recorded on his phone, they came in close to check us out as we huddled low in the dark as to not alarm them. At this point I haven’t mentioned the weather. Every weather visited us, each not lasting more than 5 minutes. 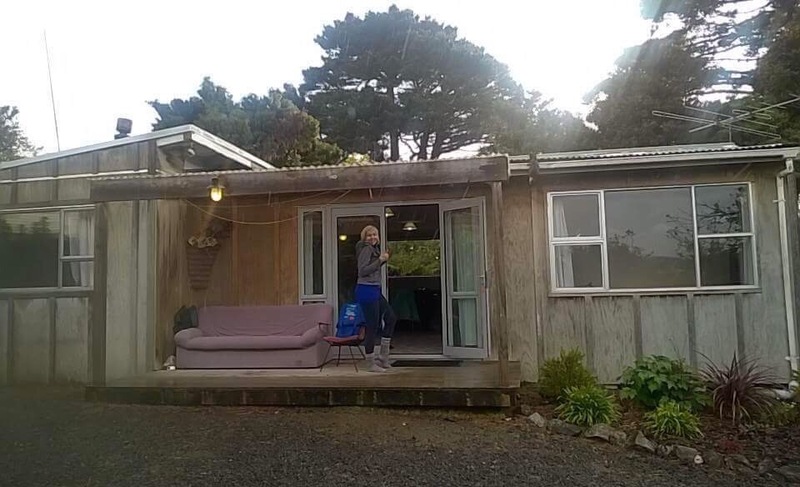 Within a few hours we had experienced the best of Stewart Islands sun, rain showers, gale winds and hail so we returned to the house, elated and drenched, to hang our shoes by the fire and crawl into bed. 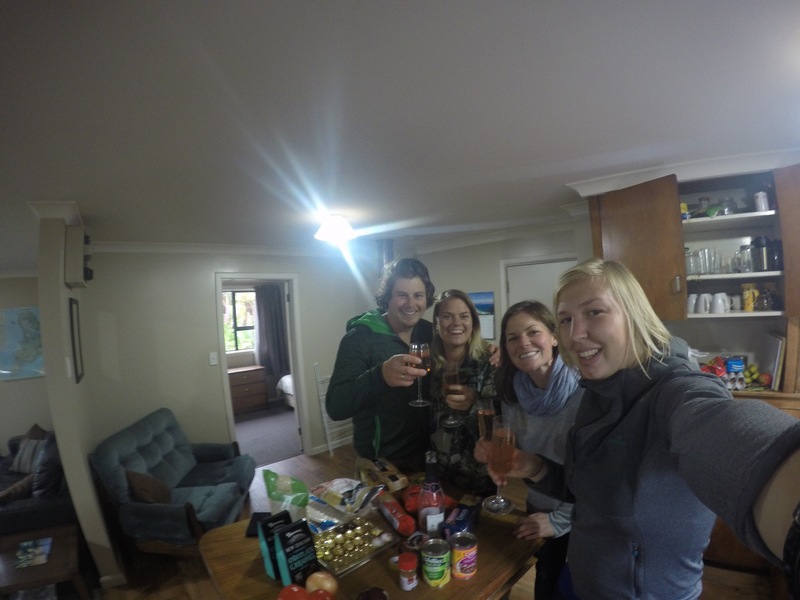 What awakened us in the morning was the welcome smell of coffee and the sight of a table laden with fruit salad, muesli and a much needed Berocca and scratch card to prepare us for our first big Stewart island day. 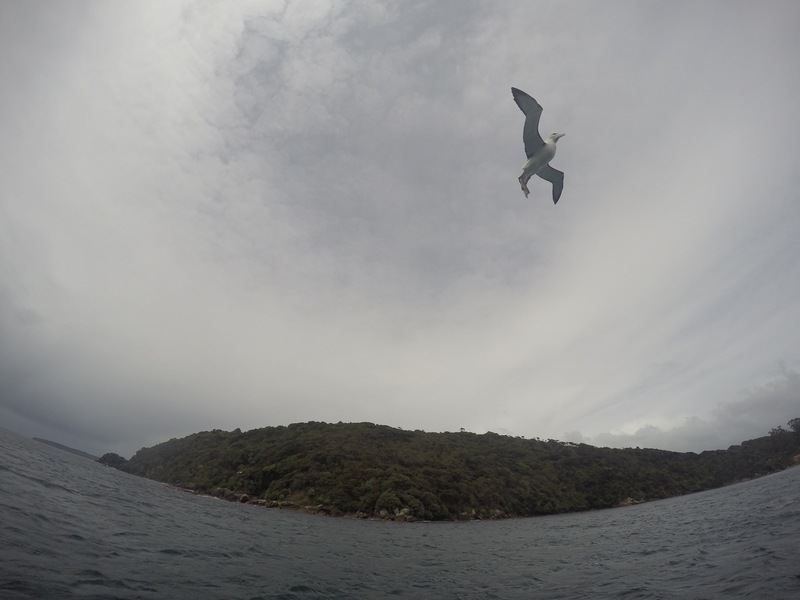 We packed up sunglasses and hats, shorts and thermals and headed down the lol to find out about getting to Ulva island, an offshore bird island. The towns harbour was lined with boats. The beautiful beach affronting the small high street comprised of a few tourist shops and a pub. We were quickly sorted out with a trip which would take us into preservation inlet and onto the island, so with a short interlude we sorted ourselves out with a coffee at the towns brightly coloured cafe. Onboard the catamaran we headed out of the harbour and along Stewart islands east coast into Preservation inlet, home to lots of small islands, lots with Scottish links and borrowed names. The rolling sea cliffs were beautiful and along the way we were followed by it he incredible wing span of the albatross circling and diving us gracefully. Ulva island used to be home to a Scottish settler and conservationist who established a post office here, thus creating a social place for people to meet and gain news from the mainland. 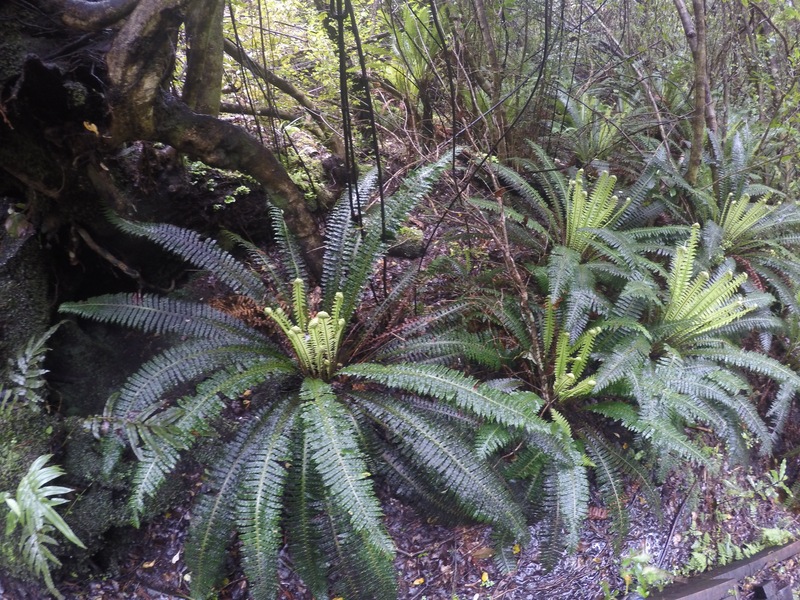 He also had a large garden of rare species which he was trying to save from extinction. 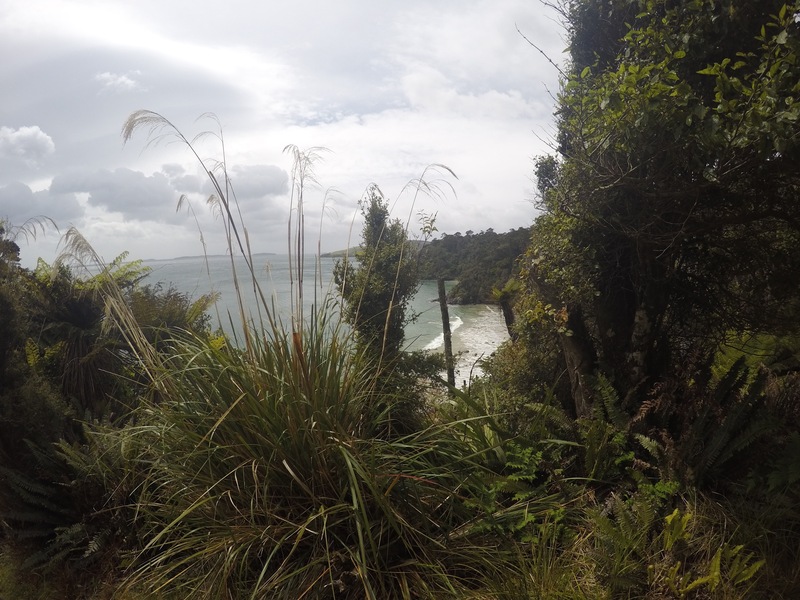 Once on the land we were guided through native bush and ferns. There were numerous calls at which our guide would prick up his ears and proclaim ‘Tui’ ‘Saddleback’ ‘Kakariki.’ Many of these we were privileged to spot through the undergrowth whilst we learnt about how they interact with the native environment. The saddleback is extremely rare, about 50 living on the island. It’s brown markings making it look like it’s packed it’s bags for school. Back on land we headed to the Bunkhouse theatre where a local movie was showing about life on the island. Schooling, sports and quirky stories brought you up to speed on Stewart Island life, all narrated by a dog. As interesting as it was we were all fighting sleep in the warm theatre. Sunday night is for socialising so we head out to claim our spot at the pub where hundreds of the tiny population turn out for the pub quiz. We were quickly joined by Ian and Natalie to make up our team and established rivalry with our neighbouring teams. As the evening progressed it was easy to break into conversation with everyone, local or tourist, as the atmosphere over a drink and a game of pool was so relaxed. It was easy to imagine why summer was such a draw this far south. Holding out as long as we could, we had promised a second evening of kiwi spotting, so come midnight we geared up again and headed for the trail park via a rather more challenging route. This time Adam played the call immediately upon entering the park and it was instantly answered with a distressed sounding call from a nearby kiwi. 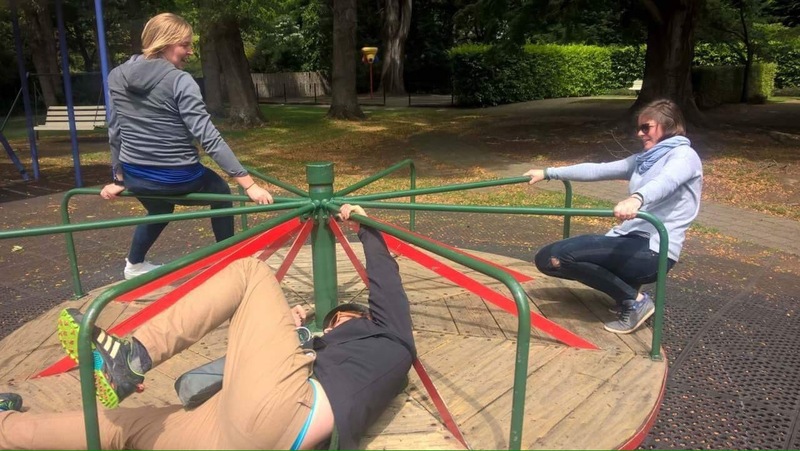 We darted over to see our large friend, once again amazed by his beautifully clumsy movements. On our final day we headed off the roads. For a largish land mass, there is relatively small amount of road, only 27km. 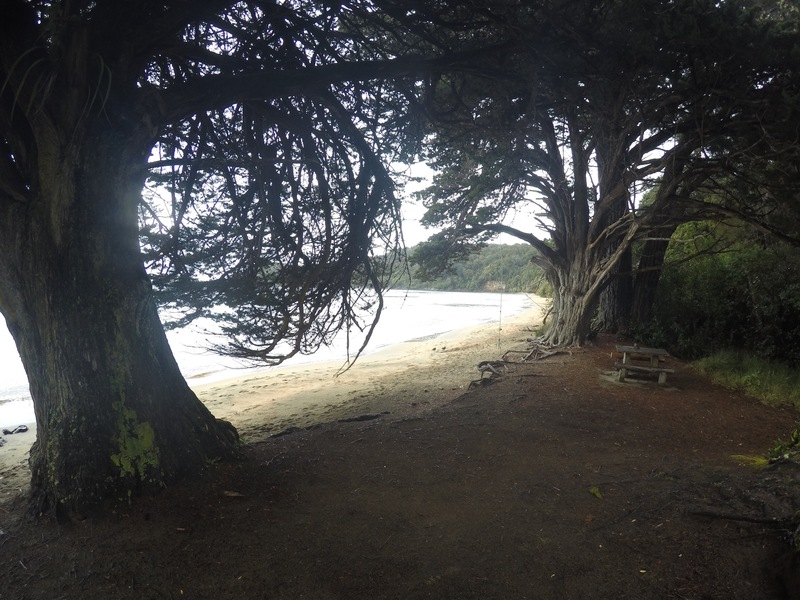 The rest is largely unexplored, the Rakiura national park of which a great walk runs through. We took a shuttle along the beach fringed coastline to Lee bay for a short stretch of the trail along to Maori Beach and back. 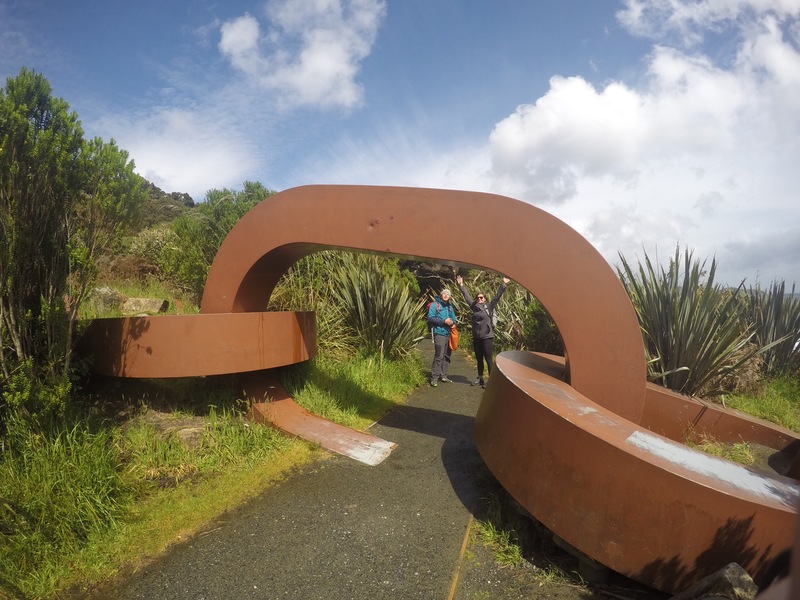 We passed through a sculpture of a large chain leading down to the sea, a symbol of Stewart islands status as the anchor of New Zealand. The trail shadowed the coastline crossing rivers rushing out to sea, climbing up and down along the undulating contour. At Maori beach we took care not to disturb a sleepy sea lion, and Allison had a close encounter with an unimpressed nursing Oyster Catcher who swooped her as she walked too close to her young. Once again we swapped rain jackets for singlets and back again, juggling sun glasses and waterproofs as the weather remained joyfully spontaneous. We took the afternoon ferry across the strait and back onto the mainland for our slow retreat back to Milford. As we crossed through the mountains, a fresh layer of snow marked that we had missed an eventful weekend of weather.